This White Printable Pack is the next printable pack in our colour series. Aimed for children aged 3 – 9 and contains a variety of activities including handwriting practice, simple math concepts and hands-on activities. 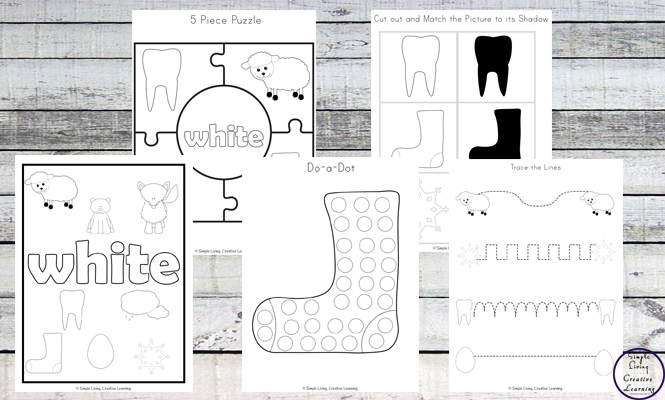 This massive White-themed Printable Pack contains over 120 pages of fun, educational activities. 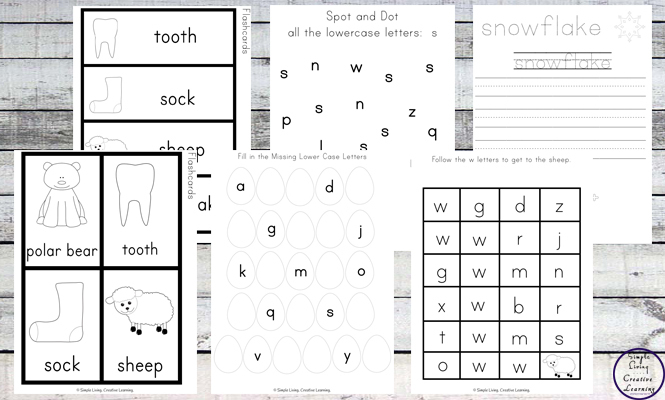 There are eight white items that are focused on: egg, clouds, snowflake, sock, tooth, polar bear, Arctic fox and sheep. 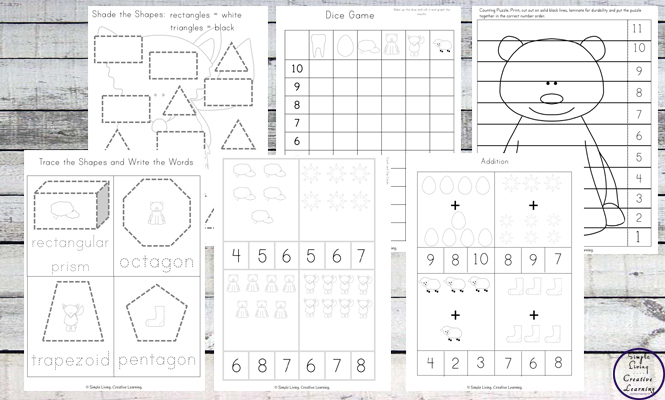 Many activities such as the flashcards, vocabulary cards, shadow and math cards can be reused multiple times once they have been laminated. The Colour Book and the Crown are great activities that children will enjoy colouring in and making before showing them to their family. 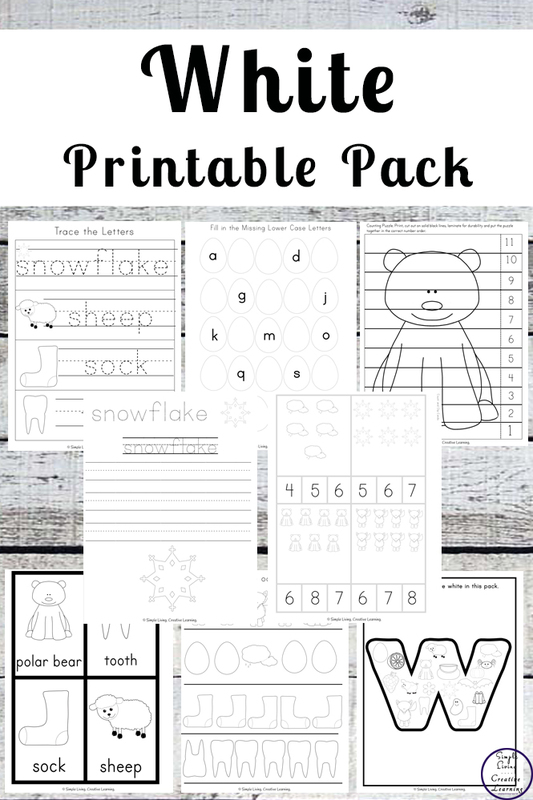 I have included both a colour and a black and white version of this ‘White’ Printable Pack, so when you go to the download page, you can download both or just the version you want. 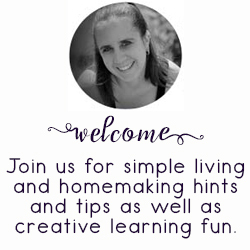 You can find all the Colour Printable Packs here.